The US Supreme Court this week ruled against a regulation limiting mercury emissions. The environmental and coal lobbies are gearing up for a battle over the White House's Clean Power Plan, as Spencer Kimball reports. Already under pressure from a boom in cheap natural gas, the industry has been pinched by the Obama administration's push for stricter clean air standards. 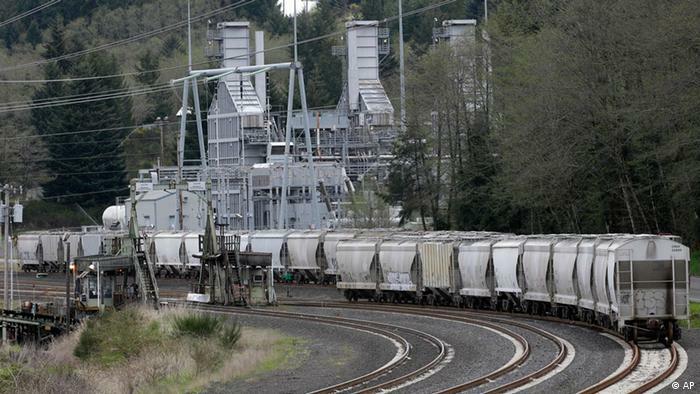 According to the Sierra Club, 195 coal-fired power plants are scheduled for retirement. That leaves 328 on America's power grid. A number of those plants have shut down due to Environmental Protection Agency (EPA) regulations. In particular, a rule that aims to drastically reduce the 50 tons of mercury that coal-fired power plants emit into America's air every year. Some of that mercury ultimately settles in bodies of water, contaminating fish that in turn are consumed by people. All 50 states have bodies of water with advisories warning people against fishing due to mercury contamination. A brain toxin, mercury is particularly dangerous for fetuses and breast-feeding children who can be exposed to the heavy metal through the mother's body. According to the US Supreme Court, the goal of reducing these health hazards must be weighed against what it costs for the industry to comply with the regulation. Compliance often requires shelling out $250 million (224 million euros) for clean-up equipment. That's a death knell for many coal-fired plants older than 40. Five justices ruled that the EPA didn't take those costs into consideration, sending the agency back to the drawing board. It's a victory for the embattled coal industry, but one without much practical effect for the time being. Seventy percent of America's coal-fired power plants have already complied with the regulation, which gave the other 30 percent another year for implementation. According to John Walke of the National Resources Defense Council, there's little chance that the rule will be completely rolled back. Perhaps more than anything else, Monday's ruling was preparation for the upcoming battle over President Barack Obama's Clean Power Plan. Though the details won't be announced until later this summer, the White House has already proposed cutting power plant carbon emissions by 30 percent from their 2005 levels over the course of 25 years. As for the potential health risks posed by emissions, Bissett doesn't have much confidence in the EPA's data, which concludes that strict limitations on mercury, soot and other hazardous materials could save 11,000 lives and prevent 100,000 asthma attacks and 5,000 heart attacks per year.